Mumbai: Shri SiddhiVinayak Temple Darshan Timings on Tuesday & Weekdays and Schedule on Vinayak Chaturthi & Sankasthi Chaturti. 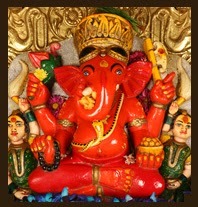 Shree SiddhiVinayak Ganapathi Temple, the abode of Lord Ganesh. This 200year old temple is very famous mandir which is located at Prabhadevi, Mumbai city, Maharastra, India. Lord Ganapathi, the main deity of the temple is situated in Sanctum Sanctorum with his consorts Goddesses Riddhi and Siddhi. Special poojas/Abhishekam/Aaratis are being performed on every Tuesdays and on special occasions like Vinayaka Chavathi, Ganesh Jayanthi. Shejaarti: The last Aarti of the day before bedtime. The temple doors remain closed after Shejaarti. Devotees are not permitted in the main Templefrom 7:30am to 1:00pm, when the Maha abhishekha is performed.